If you are looking for a rental car in the city of Hamburg, you can book your car rental conveniently from home. Just compare offers of car rental companies in Hamburg online at Driveboo. You can compare the offers of any provider and book the right rental car for you in Hamburg. It does not matter whether you want to rent a car at Airport Hamburg or in the city. Renting a car is best for several days, experience has shown that the offers are cheaper if you choose a longer period of time. 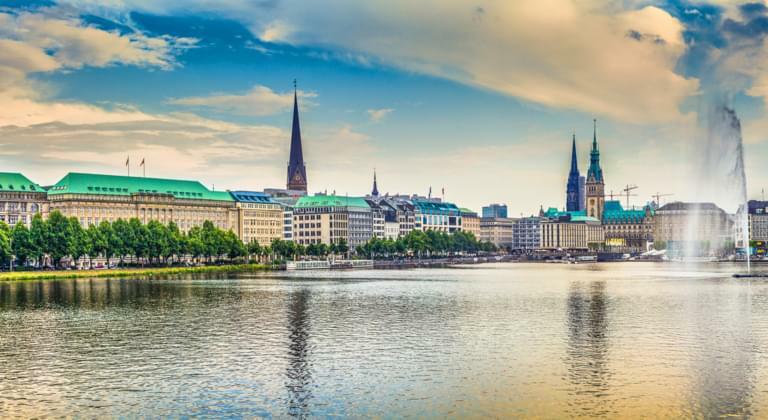 If you arrive at the airport or Hamburg Central Station and want to be mobile during your stay in Hamburg, you can explore the city and its surroundings with a rental car. In this way, business travellers are not dependent on public transport and can get from one appointment to the next flexibly. With a rental car in Hamburg, you are flexible on the move and can park your rental car in the city's numerous car parks and explore the city. Whether individual, couple or small group - there is the right rental car for every need. By means of a transparent price comparison, you can quickly find out where the desired rental car is cheaply available. This means that every traveller can book a rental car before visiting Hamburg and drive directly to the Elbe metropolis on arrival. Various vehicle categories are available for booking in Hamburg. So you can choose between small cars, luxury cars or even transporters in Hamburg. You can rent the rental car at numerous locations and select the appropriate location for you directly via the station filter and compare it with others. Hamburg is virtually predestined for a voyage of discovery by rental car. Although the most important sights can be admired on a public city tour, a rental car offers visitors more flexibility and allows them to reach places that are not classic tourist destinations. With the rental car, visitors can arrange their exploration tour of the Hanseatic city according to their own wishes. The Hanseatic city has always been called this because of its harbour. The famous port of Hamburg was already a transshipment centre centuries ago for goods from all over the world that arrived here or were shipped overseas for export. Today, as Germany's largest seaport, it is still of inestimable importance for the city's and the region's economy. If you want to take a closer look at the harbour, you can rent a car and drive to one of the jetties. They are the starting point for the world-famous Hamburg harbour tours. With different types of ships - from simple barges to comfortable paddle steamships - the harbour cruise past "thick pots" from all over the world is an unforgettable experience and a must when visiting the Hanseatic city. Barkassen can circumnavigate Hamburg's famous 'Speicherstadt', which was declared a World Heritage Site by UNESCO in 2015. Of course, the sight in the heart of Hamburg can also be reached by rental car. Here it is worthwhile to bring some time to admire the impressive buildings. 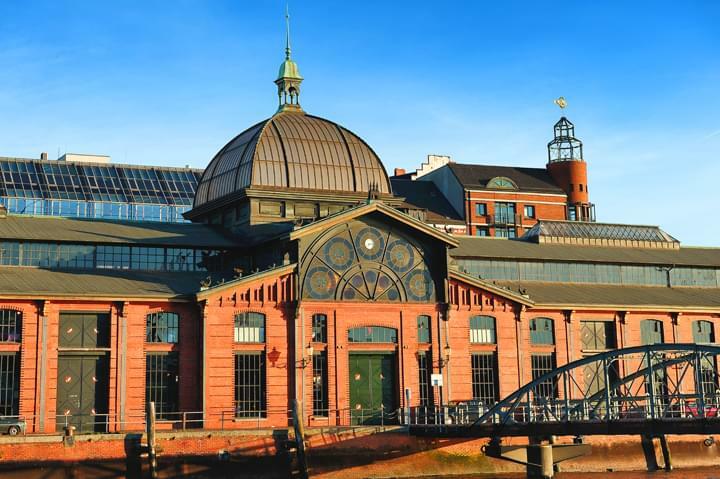 The 630,000 square meters of neo-Gothic-style warehouses house numerous attractions, including the Fleetschlösschen, the German Customs Museum and the Spice Museum as well as Hamburg Dungeon and the Miniatur Wunderland Hamburg. Miniatur Wunderland is the largest model railway exhibition in the world. The list of places of interest in Hamburg could be continued endlessly. The city offers a wide range of architectural, historical and cultural highlights that are easily accessible by rental car. And those who haven't had enough of Hamburg during the day can plunge into the world-famous nightlife on the Reeperbahn. The Reeperbahn in the heart of St. Pauli is said to be the "most sinful mile in the world". With countless bars, discotheques, pubs and nightclubs, this is easy to believe. This is why the Reeperbahn is not only busy at night at half past midnight. A short (or longer) visit to the world-famous entertainment district is definitely worthwhile. Hamburg is known all over the world as a cultural metropolis. With more than 60 theatres and an equally large number of museums, even those addicted to culture will never be bored in the Hanseatic city. The many musicals performed in the city's musical houses are a magnet for visitors. Every year, millions of people attend performances that make Hamburg the world's third-largest musical venue. Only New York and London are still ahead of the Hanseatic city when it comes to musicals. Due to the great demand, it is advisable to book the tickets early. If you decide to attend a musical spontaneously, you can be lucky and buy some remaining tickets at the box office. Once the tickets are secured, it is advisable to book the hotel and the rental car directly. Everything is prepared for a relaxed visit to Hamburg. 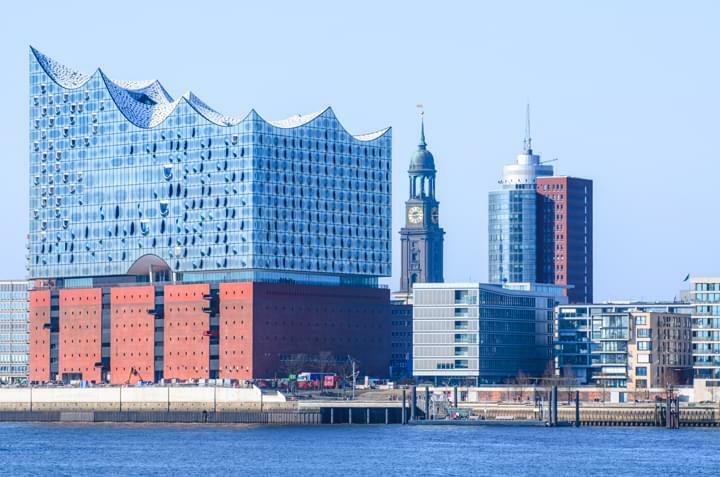 Since 2016, visitors to Hamburg have been able to admire the Elbphilharmonie. Hamburg is no longer an insider tip among gourmets. The proximity of the city to the sea and its own harbour make it no wonder that fish dishes are very popular here. An experience is a visit to the Altona Fish Market, which has been attracting visitors from all over the world for centuries with fresh fish and other food. Today, locals and tourists alike can listen to the loud and enthusiastic voices of local people and tourists every Sunday morning. In order to get hold of the best fish, it is recommended to start early with the rental car and to park in one of the parking garages in the surrounding area. If you have a rental car at your disposal in Hamburg, you should take the opportunity to explore the attractive surroundings. Many excursion destinations in the region invite you to visit. In the immediate vicinity, for example, is the moated castle of Ahrensburg, which is one of the most beautiful moated castles in northern Germany. In Rosengarten-Ehestorf, the open-air museum at Kiekeberg invites you on a journey through time. In the museum village you can find out how people lived in the 17th, 18th and 19th centuries. The many inhabitants (old livestock breeds) and various events make the visit an adventure for the whole family. The Hanseatic city of Bremen is located south of Hamburg. Bremen can be reached quickly by renting a car in Hamburg. In addition to the historic old town centre with its famous Bremen city musicians, Bremen offers many other sightseeing attractions. Equally great is an excursion by rental car to Lübeck with its medieval town centre and its landmark, the Holstentor. The seaside resort of Travemünde, where visitors from Germany and all over the world can relax and unwind, is the perfect place to relax. Due to the possibility of renting a car all over Germany, it is possible to plan a small trip to the surrounding area even before visiting Hamburg. The trip by rental car from Hamburg to Berlin is also particularly popular. You can also conveniently plan a one-way rental and rent your car in Hamburg at any station and return it to a station of the same partner in Berlin.